Etrex touch 35 is a color, capacitive touchscreen handheld with extra built-in internal memory to hold more maps. This rugged, dependable navigator features a high-sensitivity, was-enabled dual gps and glonass receiver and hotfix satellite prediction to locate your position quickly and precisely and maintain it evening heavy cover and deep canyons. Etrex touch 35 offers a redesigned multi-activity menu that puts information at your fingertips. 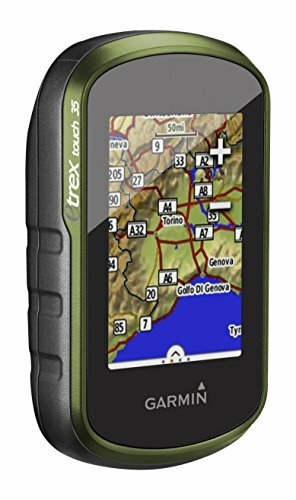 Etrex 35 also features wireless connectivity for smart notification, virb action camera control and 250,000 preloaded geocaches from geocaching.com. Add a 3-axis tilt-compensated electronic compass and barometric altimeter, and you’re ready to go anywhere.